Throughout the summer, many of us find ourselves spending weekends with friends or family in another city, because of weddings, vacations or yearly visits. We’ve discussed before that you should do everything possible to be a great guest when someone is kind enough to open up his or her home to you. By bringing or sending a hostess gift (or both), you are on your way to being invited back for another fun-filled getaway. We often gift little luxury items, because while we like to indulge in the small, but decadent things in life, we try not to go overboard and therefore love to get them as gifts ourselves. One of the best places to find fabulous toiletries, especially fancy soaps, in a pinch or otherwise is Anthropologie. Yes, it’s a chain, but by golly, it’s a chain that gets it right every single time! From the store’s music and decor; to the clothes and accessories; down to the scents and quirky books and household items we just love it in spite of ourselves. Oh, and they gift wrap. For free. 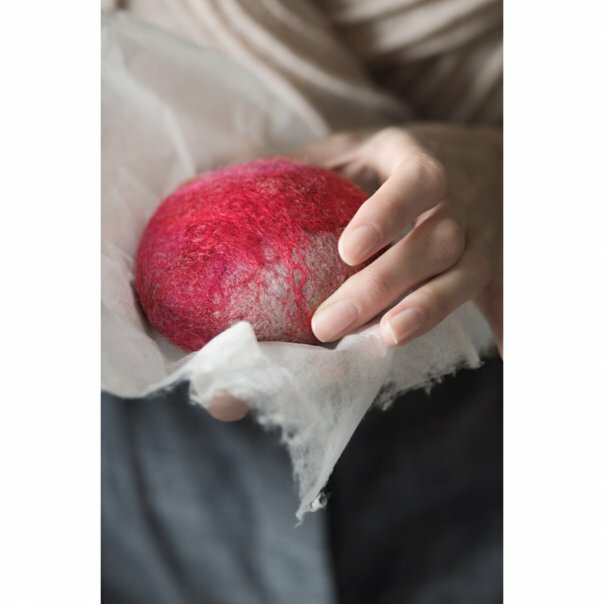 These pretty little soaps are wrapped in felted wool to create a sort of washcloth. The wool is naturally antibacterial and it serves as an exfoliator (remember, exfoliation is your key to the fountain of youth). If that wasn’t enough, the felt shrinks as the soap is used, so when the original “melts” away, pop in a new bar. Find them at your nearest Anthropologie store or order online by clicking here. We like to buy several at a time and keep them handy for gifting. Also, it’s always fun to have a “signature” gift, especially when it’s something as divine as delicious smelling soap. Happy travels this weekend and beyond and remember to send a thank you note (Anthropologie has those too).